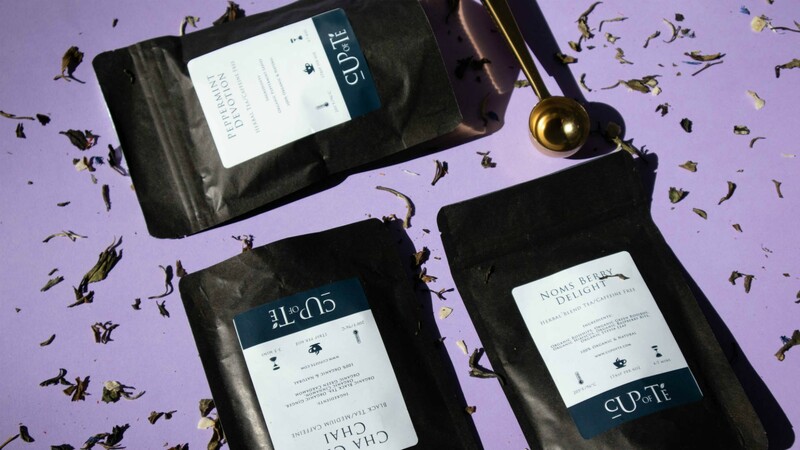 Toronto-based online retailer, Cup of Té offers a variety of premium loose-leaf teas that are organic, natural and come in a range of unique flavours. Whether you take your tea as a soothing nightcap before bed, a morning pick-me-up or an afternoon cuppa, anytime can be tea time. Iced on a hot, sunny day, or piping hot on cool nights, tea is the perfect social drink, cure-all or just a tasty treat. After a life-changing injury left her paralyzed, former gymnast Taylor Lindsay-Noel founded Cup of Té to bring people the best of the steeped-leaf drink. Her Toronto-based online shop offers a wide variety of premium loose-leaf teas and elegant tea-ware. All of Cup of Té’s leaves are ethically sourced, organic and naturally enriched with antioxidants. Flavours range across green, black, rooibos, oolong, herbal and white teas. One of their best sellers is the Noms Berry Delight, a caffeine-free mixture of green rooibos, hibiscus and stevia. Bright pink in colour, this tea features tiny raspberry chunks for a fruity, tangy flavour. 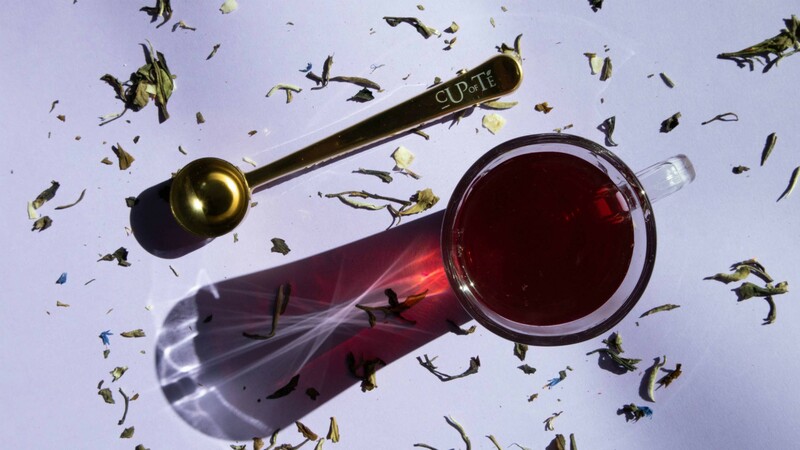 For those new to the world of loose-leaf teas, Cup of Té’s Luxe Starter Kit ($56.99) has everything you need to get started on your tea journey. The kit includes a tea infuser, spoon, tin and two bags of their loose-leaf, organic tea. Beautiful packaging and elegant branding also make this set the perfect gift for the tea lover in your life.